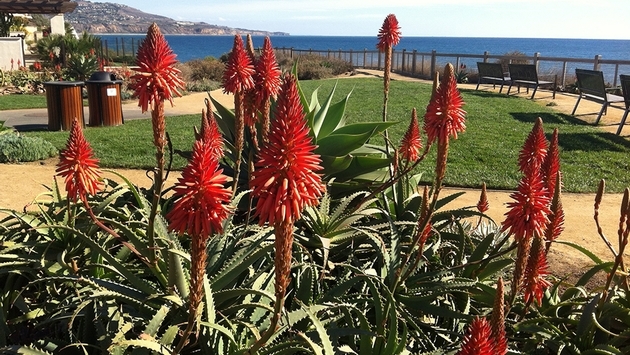 PHOTO: Exotic desert plants bloom on property at Terranea Resort overlooking the Pacific Ocean at Rancho Palos Verdes. (all photos by Thea Klapwald). It’s 6 a.m., the sun hasn’t risen yet and I’m sleepy. The crisp air is chilly, in the high 40s. I’m glad I have a light down jacket to take me from my room as I walk to the fitness center at Terranea Resort in Rancho Palos Verde. I’m about to take my first spin cycle class ever. Katherine, the fitness instructor and fitness manager, is blond, perky and perfectly fit. Two other women have shown up and we’re all bleary-eyed. Katherine chirps away at us, raising bike seats and helping us prepare for the class. 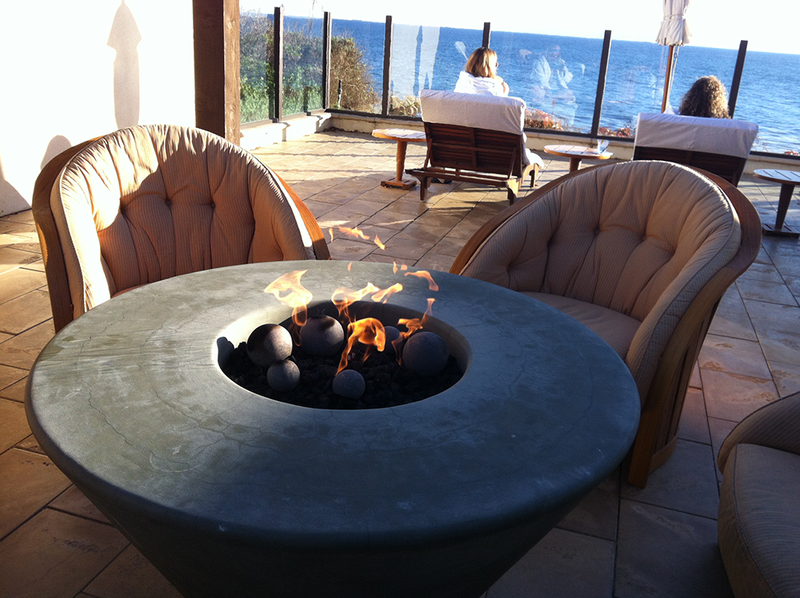 PHOTO: Firepits and fireplaces take pride of place at Terranea Resort. This one resides in the Spa at Terranea's relaxation lounge patio overlooking the Pacific Ocean where dolphins, seals and whales are on view. Light begins to streak across the ocean. The previous night, I took a yoga class with an instructor names Sun as the sun set across the ocean. She was lithe as an acrobat, happy as a hummingbird, folding up into yoga asanas that made her resemble a Bavarian pretzel. This was followed up by a massage from Angel at The Spa at Terranea. Angel tenderly pounded my flesh so that my aches and pains receded. 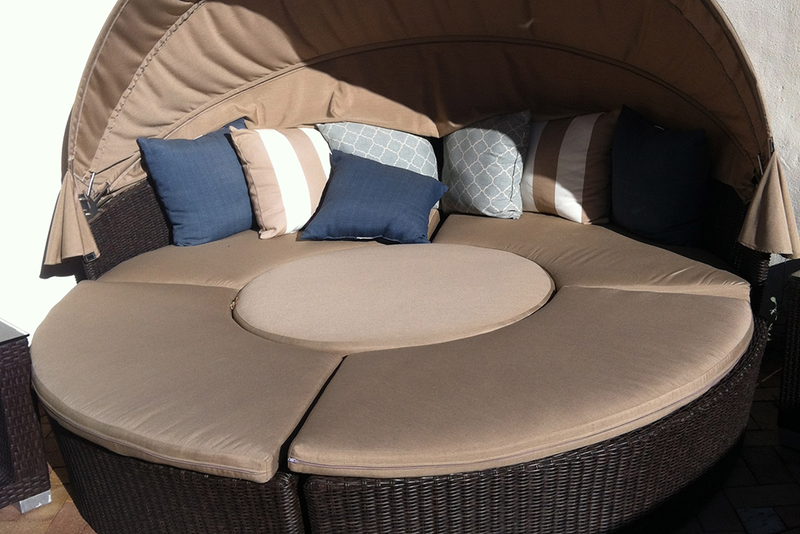 PHOTO: Nestled in one of the private patios of the multi-bedroom villas available for rent at Terranea Resort is the gigantic outdoor lounge with a sun canopy. Terranea is a luxury hotel and resort, the jewel in the crown of the Destination Hotels and Resorts stable of properties. Located in southern California, in the the ritzy beachfront community of Rancho Palos Verdes, the property is making inroads with the spa-going and golf-playing crowds. Considering it was a terrible year that it opened - 2009, one of the worst possible times for a travel-related business to launch – it has fought for its place in the five-star firmament of SoCal luxury properties. 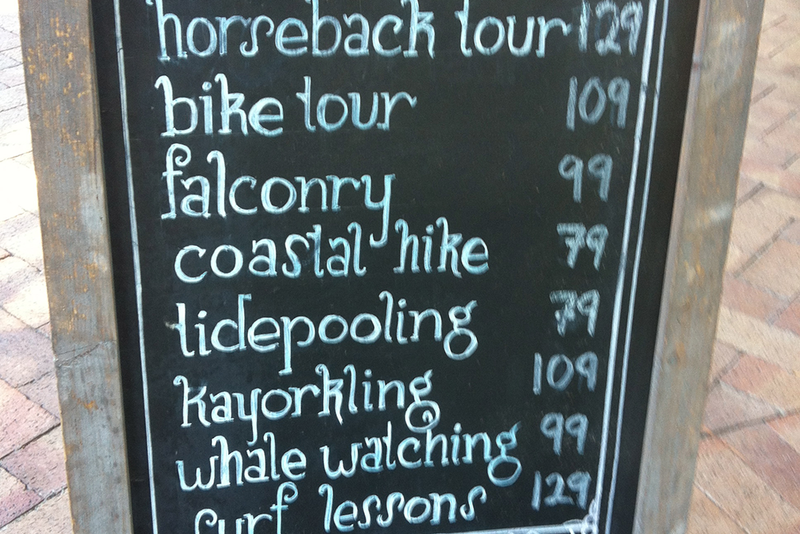 PHOTO: Pick your outdoor activity at Terranea Resort's Pointe Discovery adventure shop. The peninsula at Rancho Palos Verdes offers a variety of things to do. “We believe getting the travel professional here to experience the property first-hand is the best form of marketing,” said Ron Sandvig, vice president, travel industry sales. “Once they see the property, we see bookings,” said Sandvig. Sandvig is right. 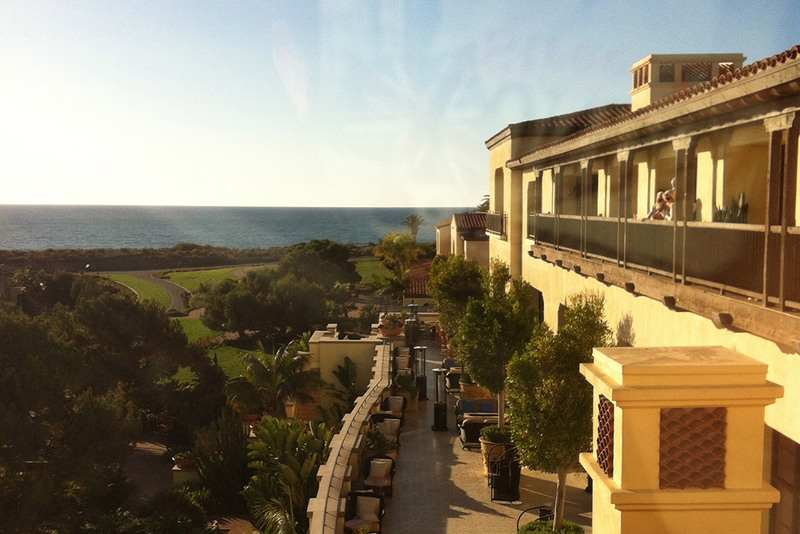 Terranea has charmed me. The combination of spa treatment, yoga and spin class have me feeling human again. 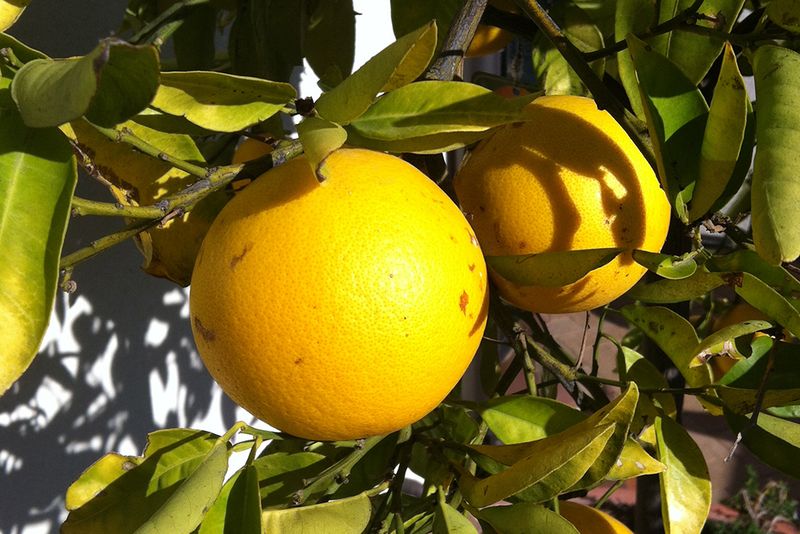 PHOTO: Terranea Resort grows citrus like Meyer Lemons on site in order to supplement their farm-to-table cuisine at the hotel's haute restaurants like mar'sel. Terranea's executive chef Bernard Ibarra is working to create salt beds on property so that the restaurants might blend Meyer lemon essence and infuse it with their hand harvested salt. After spending so much of my time hunched over a computer, pounding on the keys, I need alignment, balance and straighter posture. Terranea has provided me with all of these. The spin class comes to an end. I point out through the French doors to the horizon with a view of the choppy Pacific Ocean. Three whales, likely sperm or grey, are hanging out for us to see. We “ooh” and “ahh” at the broad grey backs that float like tankers on the ocean. 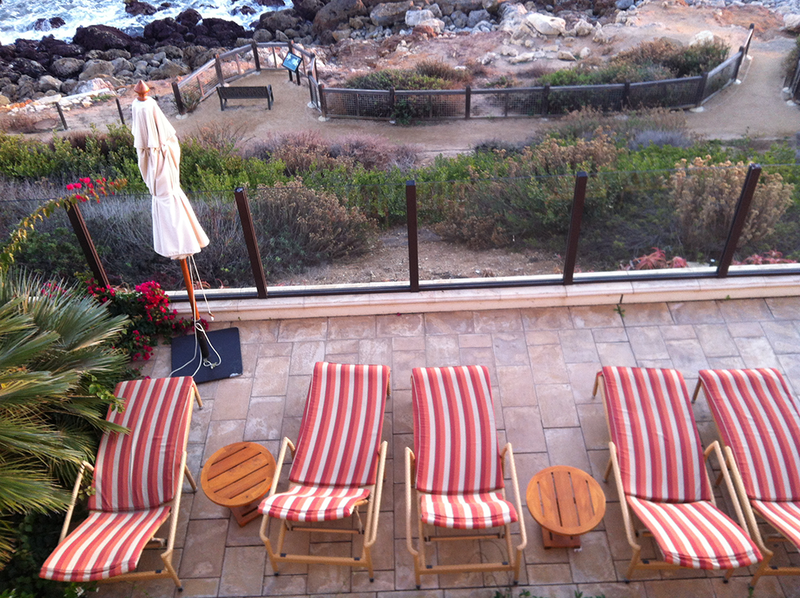 PHOTO: The Terranea Resort's lounge chairs and sun deck overlooks the rocky coast of the Rancho Palos Verde peninsula. A coastal walk takes explorers along the coast across bluffs and down to a private beach called Cielo Point. The calm majesty of the animals with the occasional spray has us expressing our joy and gratitude to be able to share our morning with these creatures on their migratory path from Alaska for winter to mate and bear calves. I’m happy to leave now. Terranea Resort has delivered upon its promise: spa, whale watching, rejunvenation, and peace – it’s all there and I’m taking some of it home. PHOTO: Caption: Terracotta tile contrasts wonderfully with the California blue sky and the steely gray of the Pacific Ocean at Terranea Resort. Thea Klapwald is a travel writer who loves going to far-flung destinations to explore different cultures and meet new people. She's written for A-list publications like Worth magazine, The Wall Street Journal, The New York Times, The International Herald Tribune, and The Los Angeles Times. She lives with her husband artist Mario Muller and son Wolfgang in Los Angeles.